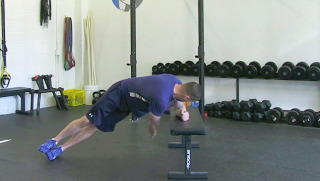 Stay in a side plank position on the bench. 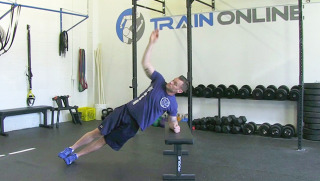 With control, twist under and reach just past your hip. 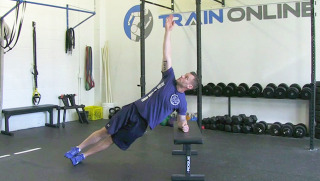 Rotate back to the starting position and point your hand to the ceiling.